I like trilogies better than epic tales that span five books or more. 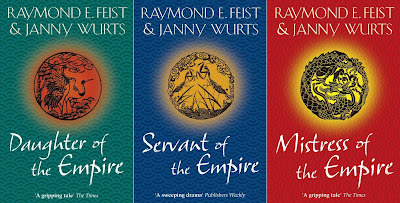 I say this now a couple of hours after finishing the Mistress of the Empire, the third book in the Empire Trilogy by Feist and Wurts. The character of the main protagonist, Lady Mara of the Acoma. Steeped in tradition that catered to her every comfort as a noble, she manages to expand her way of thinking (for the better) while keeping the "good bits" alive. There is no way in hell that there's a woman such as her in real life, but maybe that's why she's such an attractive character. Who wouldn't want to be as strong and yet as perceptive as she is? The interweaving of magic, religion, and the concept of honor. Some have told me that the story might be too slow for my liking, but I didn't find it that way. Indeed, if it was slow in some points, it was a good way to unravel the tangled web created by these three elements. The big picture is political, but it's not a boring kind of politics. I think it's best that one reads the three books to really grasp the strength of the story. 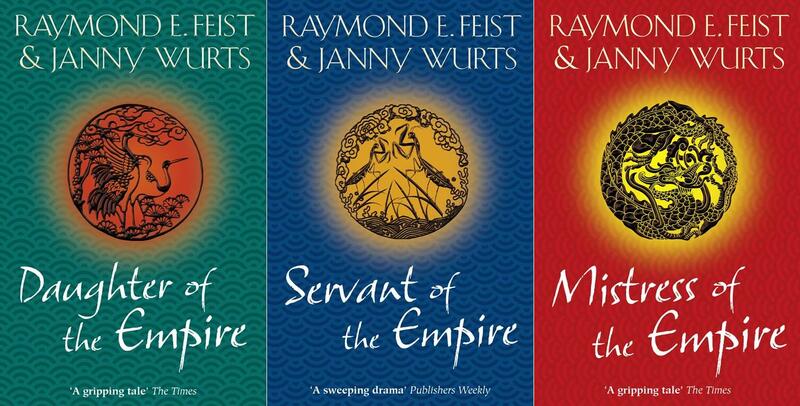 This may be blasphemous, or it may only be the effect that I have only recently finished the books, but it might just be that The Empire Trilogy is better than The Song of Ice and Fire (Game of Thrones)!